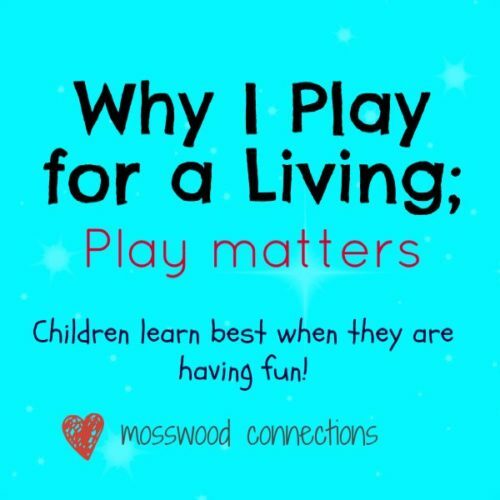 Recently, we were invited to join the Play Matters Blog Hop created by Encourage Play. 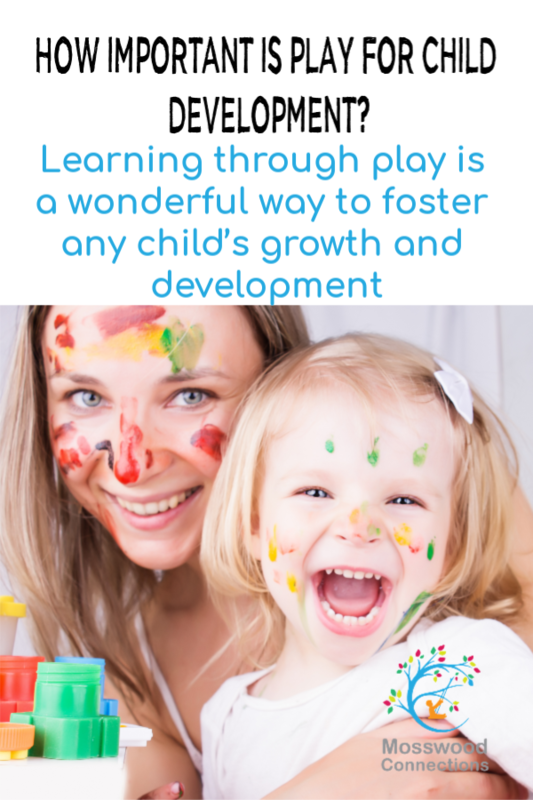 Learning through play is a wonderful way to foster any child’s growth and development. Through play, children stretch their abilities and discover their potential. For us, it was a natural fit. I am trained in DIR/Floortime and my Mosswood Connections partner, Sarah, also does play therapy when she isn’t busy playing with her own child. When I started working with children on the autism spectrum (a long time ago) there were basically three different types of therapy being offered: ABA, The Son-Rise Program, and Stanley Greenspan’s Floortime approach. ABA (Applied Behavioral Analysis) was the most rigid approach with the children doing drills until they had mastered a task 8 out of 10 times. If they did the task correctly they were often rewarded with food and if they did the task wrong they were sharply reprimanded. Over the years, ABA providers have softened their approach, but for me, it is still too rigid. I believe that children learn best when they are having fun. Learning through play works. One reason that we prefer for children to be learning through play is that we often see children who successfully learn skills when the skill is isolated, but the skill is not generalized. For instance, color cards are shown to a child until they are able to correctly identify the colors and then the skill is considered “mastered”. However, often the child who has learned to identify the color cards does not apply it to real life. A car is just a car, not a red car or a white car. When we teach colors through play we might match colors or make rainbows or have the trains bring us green items or blue items. Through this process, the child learns that colors are on many things, not just cards. Another reason that we choose to teach and build skills through play is that play mimics the organic nature of human interactions. Anything can happen when we play. Sometimes we will stay on topic and sometimes we will wander, just as people naturally do when they are enjoying each other’s company. Playing together is like an unchoreographed dance, where each dancer responds and reacts to the other dancer’s moves. It is the most natural way to teach social skills. We can teach children specific social language and social skills, but applying those skills is far more difficult. Children need to experience the natural back and forth that happens when interacting with others. Play teaches us how to listen to others and respond in a way that all players will enjoy. It teaches us how to manage conflicts. When to be flexible and when it is time to hold firm. Play bonds us together with shared enjoyment and laughter. 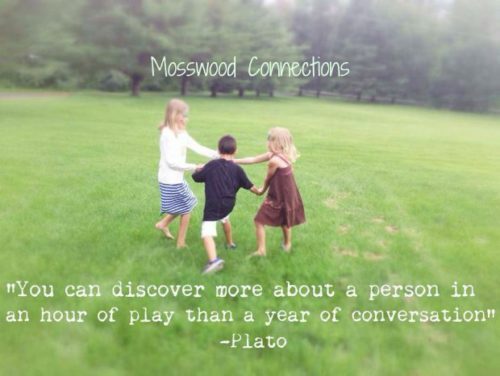 Play teaches critical thinking skills. Language skills are developed as children learn to communicate while they play. The list of benefits goes on and on. At some point, in every child’s development, there should be opportunities for them to play independently with each other. Adults need to step back and let the children learn to navigate their own interactions. Sometimes, there will be problems. Sometimes, a child’s feelings may be hurt. These are all opportunities to learn. It is through these interactions that children learn how to apply what they have learned and grow from the experience. Beyond all the developmental benefits that children get from learning through play, they get an even better bonus: pure fun. That is why I play for a living. What will your child play today?